Parker Myles/FacebookEmmy with the emotional letter her mother wrote to the doctor who urged her to get an abortion. 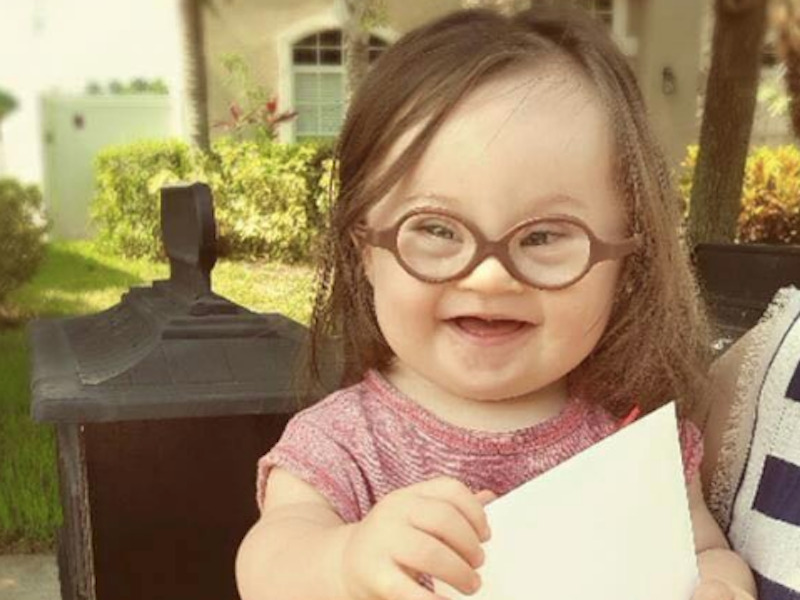 Courtney Baker received heartbreaking news during her pregnancy: her baby had Down syndrome. Feeling “terrified, anxious and in complete despair,” the mum-to-be sought help from a prenatal specialist. Only, instead of the advice she expected to receive, Baker was “repeatedly” told to get an abortion. However, Baker ultimately decided to keep the child — a little girl she named Emersyn, or Emmy. More than a year after Emmy’s birth, Baker decided to mail an emotional letter to the prenatal specialist. She shared the letter on the Facebook page of Parker Myles, a blog about raising children with Down syndrome. Baker wrote that Emmy has become an integral part of her family, and that she is still “perfect” despite her condition. I’m not angry. I’m not bitter. I’m really just sad. I’m sad the tiny beating hearts you see every day don’t fill you with a perpetual awe. I’m sad the intricate details and the miracle of those sweet little fingers and toes, lungs and eyes and ears don’t always give you pause. I’m sad you were so very wrong to say a baby with Down syndrome would decrease our quality of life. And I’m heartbroken you might have said that to a mummy even today. But I’m mostly sad you’ll never have the privilege of knowing my daughter, Emersyn.